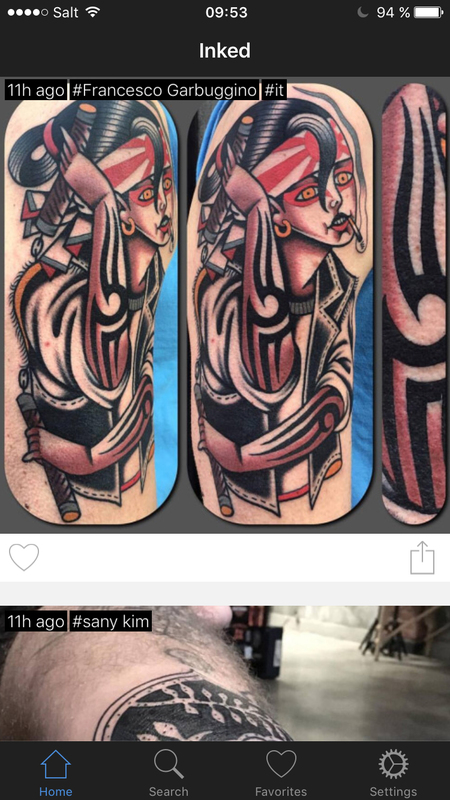 Inked is the app you need when getting tattooed. You will find daily inspiration by scrolling through thousands of real tattoos. Or use the powerful search to find what you like - and you can save everything all in one place. It's that's simple. Daily there are added new, real tattoos to the thousands already on the app. Discover new ones on the go, in the train or whenever you have a couple of minutes (we recommend to look for the next tattoo already while getting your current one ;-) ). Have something more specific in mind? Use the search and find exactly what you are looking for. Learning about new styles and discovering them is made easy with tags. Tattoo Rule #1: If you can imagine it, there are tattoos of it. If you want to find a tattoo with a cat eating a pizza, you should be served it! With Inked you can always have your best ideas with you, gaze at them whenever you want and show them to anyone.